Netanel Blaier obtained his Ph.D. from MIT in 2016, under the supervision of Paul Seidel. His research area is symplectic topology. Netanel’s thesis studies symplectic mapping class groups by constructing a quantum analogue of the Johnson homomorphism. He joined the collaboration in 2016 as a postdoctoral fellow at Brandeis and Harvard. 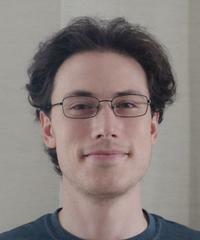 Colin Diemer obtained his Ph.D. from the University of Pennsylvania in 2010, under the supervision of Antonella Grassi. He has held postdoctoral positions at University of Miami, Vienna, and most recently University of Alberta. His research areas are birational geometry, tropical geometry, and mirror symmetry. He joined the collaboration as a postdoctoral fellow at IHES in September 2016. 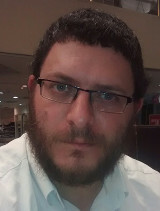 Yoel Groman obtained his Ph.D. from the Hebrew University of Jerusalem in 2015, under the supervision of Jake Solomon. His research focuses on the geometric properties of J-holomorphic curves in symplectic manifolds. After spending a year at ETH Zurich, Yoel joined the collaboration in 2016 as a postdoctoral fellow at Columbia University. 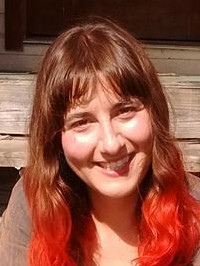 Roberta Guadagni obtained her Ph.D. from the University of Texas at Austin in 2017, under the supervision of Tim Perutz. Her research studies the geometry of SYZ fibrations. Roberta joins the collaboration in 2017 as a postdoctoral fellow at the University of Pennsylvania. Andrew Harder obtained his Ph.D. from the University of Alberta in 2016, under the supervision of Charles Doran. His work in algebraic geometry studies Calabi-Yau varieties, Fano varieties and Landau-Ginzburg models. Andrew became a postdoctoral Research Assistant Professor at the University of Miami in 2016. 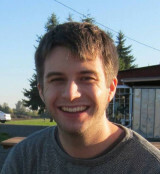 Justin Hilburn obtained his Ph.D. from the University of Oregon in 2016. His research interests lie at the interface of geometric representation theory, algebraic and symplectic geometry, and mathematical physics. Justin joined the collaboration in 2016 as a postdoctoral fellow at the University of Pennsylvania. Hansol Hong obtained his Ph.D. from Seoul National University in 2014, under the supervision of Cheol-Hyun Cho. His research focuses on Lagrangian Floer theory and its applications to homological mirror symmetry for orbifolds. 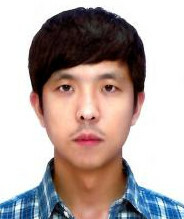 Hansol was first a postdoc at the Chinese University of Hong Kong, before joining the collaboration in 2016 as a postdoctoral fellow at Brandeis and Harvard. Mauro Porta obtained his Ph.D. in 2016 from the Université Paris 7 Denis Diderot and Università di Firenze under the supervision of Gabriele Vezzosi. His research focuses on derived algebraic geometry, rigid analytic geometry, and motivic homotopy theory. 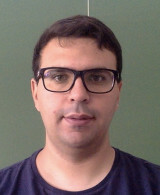 Mauro was part of the collaboration as a postdoctoral fellow at the University of Pennsylvania in 2016-2017, before taking a permanent position in Strasbourg. Zack Sylvan obtained his Ph.D. from UC Berkeley in 2015, under the supervision of Denis Auroux. His research concerns partially wrapped Fukaya categories and their relations to other invariants. Zack was a postdoc at ETH Zurich and at the Institute for Advanced Study before joining the collaboration in 2017 as a postdoctoral fellow at Columbia University. 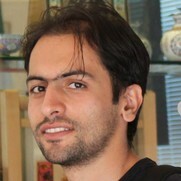 Mohammad Farajzadeh Tehrani obtained his Ph.D. from Princeton University in 2012. His research focuses on moduli spaces of pseudoholomorphic curves and Gromov-Witten theory. Mohammad works at the Simons Center for Geometry and Physics in Stony Brook, and has been supported as a fellow of the collaboration in 2016-17. Dmitry Tonkonog obtained his Ph.D. from the University of Cambridge in 2016, under the supervision of Ivan Smith. His research focuses on Lagrangian Floer theory. 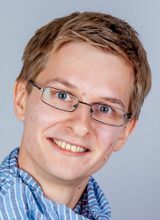 Dmitry spent a year as a postdoc at Uppsala University before joining the collaboration in 2017 as a visiting assistant professor at UC Berkeley. Dingxin Zhang obtained his Ph.D from Stony Brook University in 2017, under the supervision of Jason M. Starr. His research focuses on p-adic cohomology, D-modules, and their applications in mirror symmetry. Dingxin joined the collaboration in 2017 and will spend two years at Brandeis and Harvard. Jingyu Zhao obtained her Ph.D. from Columbia University in 2016, under the supervision of Mohammed Abouzaid. Her research focuses on equivariant structures in Floer theory. 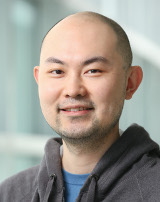 Jingyu spent a year as a postdoc at the Institute for Advanced Study before joining the collaboration in 2017 as a postdoctoral fellow at Brandeis and Harvard. Peng Zhou obtained his Ph.D. from Northwestern University in 2017, under the supervision of Eric Zaslow. His research applies microlocal analysis to study geometric problems in homological mirror symmetry and in spectral theory. 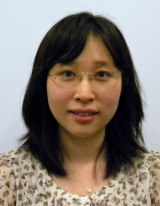 Peng joined the collaboration in 2017 and will spend two years at IHES.